Arranging snowdrops is one of the first things I like to do at the start of spring. The small flowers are among my favorite harbingers of the season, followed closely by daffodils and crocuses, so I waste not a single moment to bring a few of them into my home as soon as I spot the clusters of low-lying flowers. I'm not sure why it is the case, but we seem to have a copious amount of snowdrops this year, a sort of bumper crop if you will. I've even noticed them migrating their way onto the lawns, something which hasn't happened in years past. After this long winter and heavy snowfall here in our area, I was afraid that our snowdrops were never going to come out, but I was proven wrong. I'm so glad I was. Since I have an inordinate amount of these gorgeous flowers right now, I've been treating myself to a few arrangements every few days. Nothing grand or ostentatious mind you, because these tiny flowers require the simplest of vessels for display and nothing else. As much as I admire their understated beauty and quiet elegance, it's the subtle fragrance from their buds that really draws me in. It's nice to be in the middle of a task in my kitchen and then all of a sudden catch a trace of their beguiling aroma when I least expect it. If you have snowdrops in your yard and bring them indoors then you understand exactly what I'm talking about. Snowdrop aficionados take note, because this is what I've been enjoying the past few weeks here at home. The first order of business is to stake out an area where I can cut the flowers for my arrangements. The woodland that surrounds our home is so prolific this year and I couldn't be happier. Either with one of my baskets or a simple bowl in tow, I cut the clusters with a pair of sharp shears and gather as many as I need. This takes a matter of just a few minutes. I always make sure to cut from different areas so that I don't leave bare patches. Even before I walk back into the house I begin to think of what I want to use to show them off. More often than not, I choose something small. 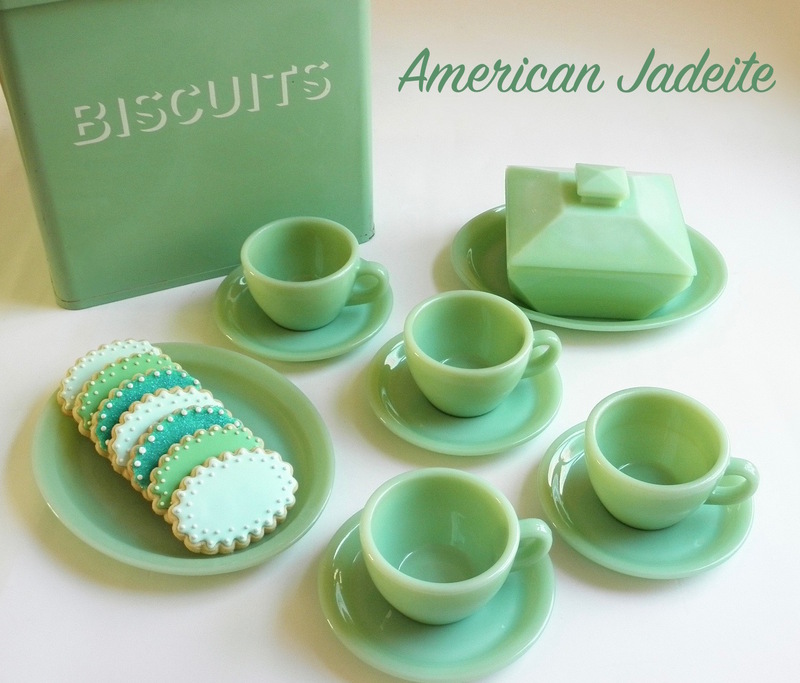 If I am in the mood for jadeite, I open up one of my cabinets filled with this milky glass and pull out what I want. 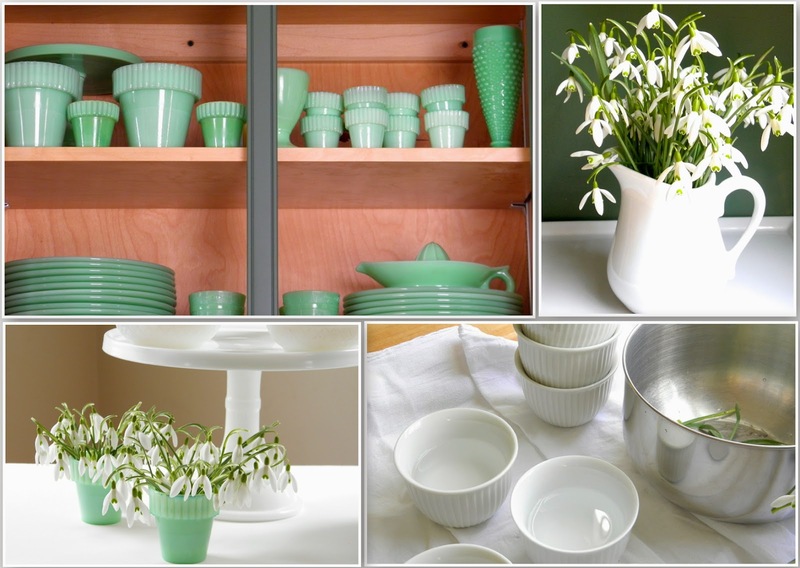 If I happen to want something white, I opt for porcelain jugs, custard cups or even a bowl. Pressed glass pieces are also nice. Working quickly, I fill a bowl up with cool water and drop my clusters of snowdrops. Then, I cover my working area with white kitchen towels so that I protect the surfaces from water spills, earth, stray leaves, pollen or even the occasional spider. I make sure to have a waste bowl nearby so that any trimmings or unwanted pieces of rubbish get tossed out. My vessels are then filled with cool water. If you want to prolong the life of the arrangement I suggest adding flower food to each container, otherwise you can expect the flowers to keep their looks for about 2 days at the most. For my latest arrangement I chose these Japanese porcelain custard cups. They're the perfect size for my snowdrops. I never know how many little containers I'm going to need so I make sure to have plenty just in case. You can see that it's helpful to have not only a waste bowl nearby, but also some kitchen towels. Debris from the outdoors inevitably gets entangled in the shoots. Don't you just love how delicate these flowers are? For snowdrops I do one of two things. I either remove every single leaf (they resemble blades of grass) or I leave them alone. On this occasion I decided to keep everything. With one bunch gathered in my hand, I measured the stems against my containers and then cut with sharp scissors to have them pop over the rims. Any extra flowers get used as filler for the arrangements. 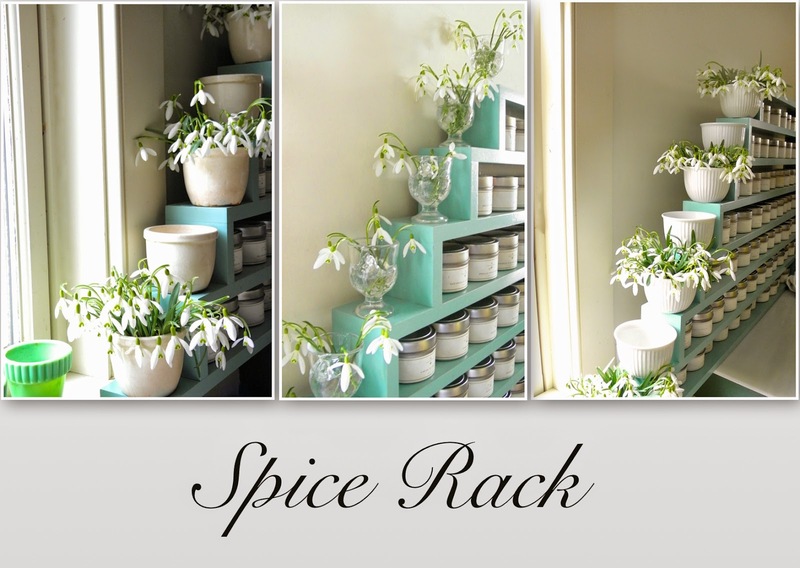 That beautiful spice rack of mine always has something adorning the steps. Snowdrops are perfect for each perch. You can see that through the years I've either used new or old custard cups and even some pressed glass egg cups. The flowers always liven things up in the kitchen. If you don't know it by now, I collect bowls. I love bowls and for my snowdrops, I think the smaller the bowl the better. A bowl like this usually requires placing a flower frog at the bottom of the bowl to hold the stems in place. 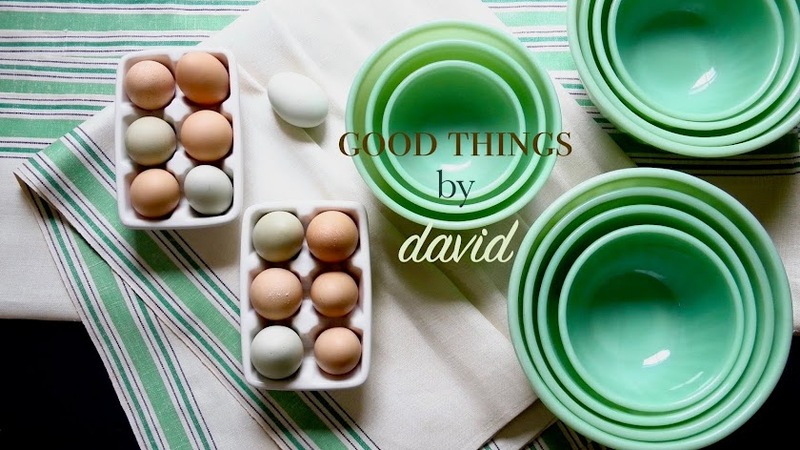 Whether it's a jadeite bowl, an earthenware bowl or some other type, I prefer to make this type arrangement look lush and abundant. It's always best to keep the leaves intact when using bowls. 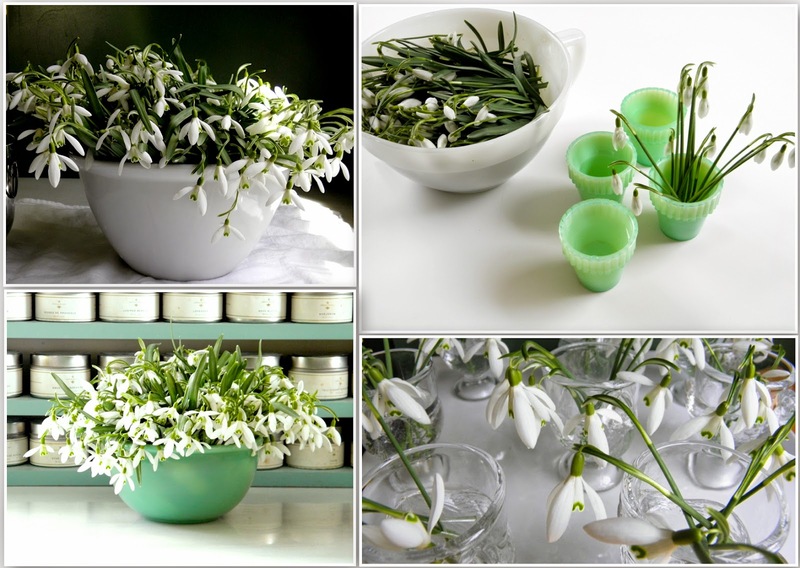 On this particular day I had one of my McKee jadeite bowls from the 1940s with a large amount of snowdrops, set atop an early American pressed glass cake stand. As much as I like the clusters gathered into one bowl, I think smaller arrangements look best. Here is a closeup of what the flowers look like. Rather droopy and a bit downcast, but nevertheless they are gorgeous when gathered in a group like this. Moving this arrangement over to one of my cabinets in the office brings the space to life. Thankfully my kitty cats leave the snowdrops alone whenever I have them out. Here is Ms. Kitty sitting next to these by a sunny windowsill. I think she enjoys their fragrance just as much as I do. These elegant beauties are always going to be close to my heart. The moment I see them out and in full bloom I feel like spring is finally here. Spring is here to stay isn't it? As you can see, it's so easy to create nice arrangements with these delicate flowers inside one's home. You don't need to be an expert florist to make a beautiful presentation. My first instinct is to form arrangements in small vessels such as my Fenton pots, custard cups or some other container. I think it shows off their beauty rather nicely and what's more, if you're having a dinner party, the tiny planters can go down the length of the dining table or get placed at each place setting. I know of some people who grow snowdrops in small pots indoors, so they need not do a thing to show them off. However, if you want to make a bolder statement, reach for a bowl that is decorative or special to you and fashion a luxuriant display. 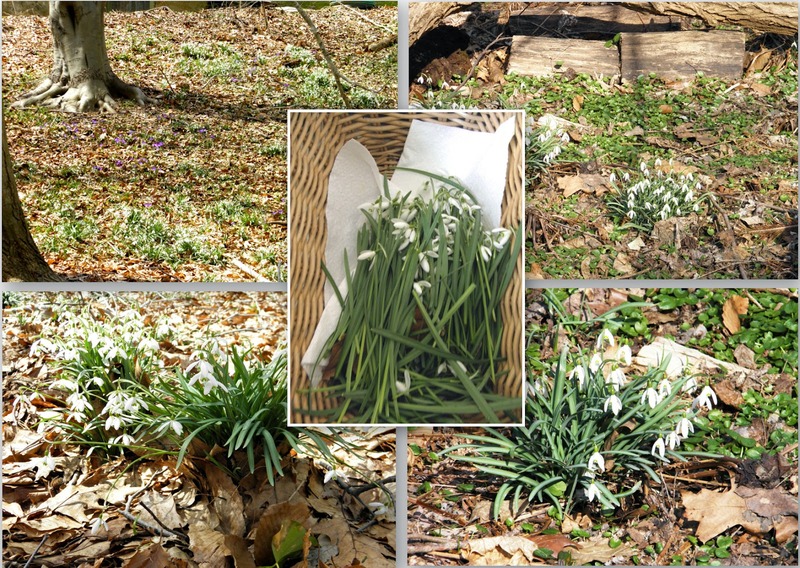 Tonight, there will be Snowdrops in my home - Thanks to you! Simply breathtaking! Snowdrops are a favorite flower of mine but alas, they do not thrive here in Georgia. You are very lucky to have drifts of them on your property. They look wonderful in all your various arrangements. Bravo! Janet, you are lucky to have snowdrops around your home and I'm glad you're bringing them indoors. Get close to them and smell their delicate aroma. They're wonderful!!! Bernie, you are a wonder to have them growing in containers inside your home. 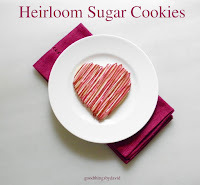 It's nice that you at least get to enjoy them for a longer period than I do! You know, we have to do a blog post together very soon! I do not have snowdrops in my gardens... but after seeing this post, that will be changed for next year! David, on my way to work these past couple of weeks I've noticed a certain property that has these by the fence along the road. It's amazing to see patches of them there and I always look out for them. Kinda makes the drive nice, know what I mean? Kenn, you absolutely must plant some snowdrops for next year so that you can be rewarded with their flowers. You won't regret it! Stacy, that must be a sight to behold. Lucky you to have that on your way to work! Take a photo of them if you can and send it to me. I'd like to see. So lovely! I'm still waiting to see what will survive the winter, although I can see the lavender and ornamental grasses seem healthy. Things are just beginning to poke up from the mulch, so we will see! I think I may have to visit our local greenhouse and add some fresh color to my home until I get things blooming outside! Happy Easter to you and yours, David. You're still recovering from winter? I totally understand your concern for your garden. Keep your fingers crossed! Lavender is heavenly, isn't it? A trip to the nursery is always a good thing. Plant hyacinths, tulips or whatever you feel like. Spring is finally here!